As always, Padayatris (devotees who visit religious centres by walking) are the main attraction of Shivaratri celebrations in Dharmasthala. The night which belongs to Lord Manjunatha was lighted up with their bhajans, dance with devotion. The Padayatris came from various corners of the state, all the way through Charmadi, Shiradi, Agumbe and Kodagu ghats, walking hundreds of kilo metres. Believe it or not….some of them, even don’t have the habit of walking for exercise! This year also Shri Kshethra witnessed around 15,000 Padayatris during the Shivaratri celebrations. Usually after hundreds of kilo metres of walking, they halt at Charmady, Somanthadka, Boodjalu, Sathyanapalke or Shiradi, take bath in Nethravathi and walk towards Dharmasthala with new inspiration. After the ‘Darshan’ of Lord Manjunatha, they participated in Shiva Panchakshari in the evening and later in Bhajan and Jagaran. Water, juice, buttermilk was provided to the Padayatris on the way. Many arranged free lunch, food and giving directions to Padayatris. Padayatris got a special welcome in Dharmasthala. Their arrival with Bhajans was eye catching. Few teams sang Bhajans in Charmadi, Somanthadka, Ujire town itself. On the day of Shivaratri, all the teams gather around Sri Manjunatheshwara temple. It was amazing; Shri Kshethra just looked like Kailasa on the earth. Among devotees many were from Bengaluru, Mysuru, Hassan, Chikkamagaluru, Tumkur, Kodagu, Uttara Kannada and other districts. They formed committees and came to Shri Kshethra in 48 teams. There were many devotees who are coming in Padayatre from past 38 years. On the night of Shivaratri, the devotees were busy in Shivanamasmarane, Sankeerthane, Bhajan, prayer of the lord. They specially decorated the temple. Thousands of artists played various musical instruments to devote their artistic talent to the almighty. From past three years free medical service was provided to Padayatris through Shri Dharmasthala Manjunatheshwara Hospital, Ujire. However this year, medical camps were established in six places, between February 20 and 24. Shri D Veerendra Heggade visited every camp and checked the facilities. Free medical service was provided to Padayatris at Charmadi, Somanthadka, Boodjalu, Sathyanapalke and Dharmasthala. Separate counters were opened in Ujire S.D.M Hospital to give free treatment to Padayatris. Two ambulances were ready to provide emergency treatment. ‘Sanchari Aaspatre’ (mobile hospital) was also used for service. As a part of Shivarathri celebrations, the car festival of Lord Shri Manjunatha was performed. 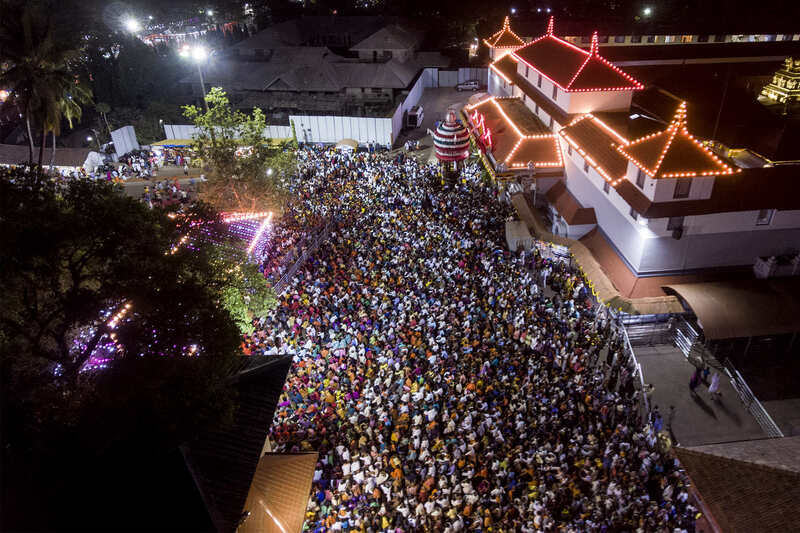 Thousands of devotees participated in the holy ritual in the wee hours on Shivarathri day. 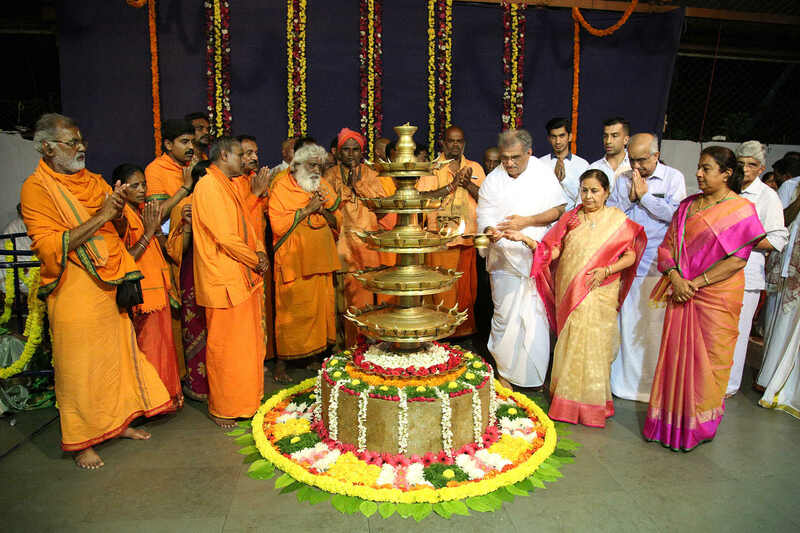 Dr D Veerendra Heggade inaugurated Shivapanchakshari Japa as a part of Shivaratri at ‘Pravachana Mantapa’ of Shri Kshethra. In his message, Shri Heggade said that whatever the God blesses with, we should know its value. Otherwise it cannot be used properly. Spend at least one day to pray the lord, he said and called upon devotees not to pollute any religious institutions. Under Cleanliness drive of religious institutions, around 7 lakh volunteers in the state cleaned 8,000 religious institutions. It will continue in future also. Cleanliness increases the purity of the place.